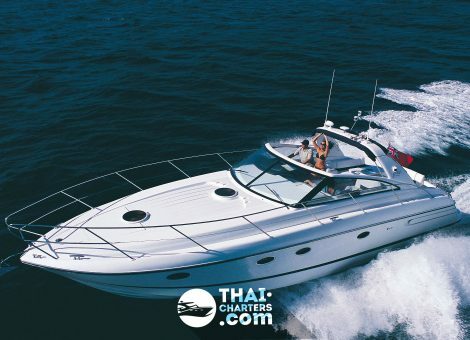 A rent of the motor yacht «Princess 42V» in Phuket. 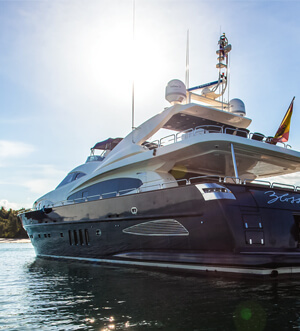 Excellent sports luxury-class yacht provided by the shipyard “Princess Yachts”. 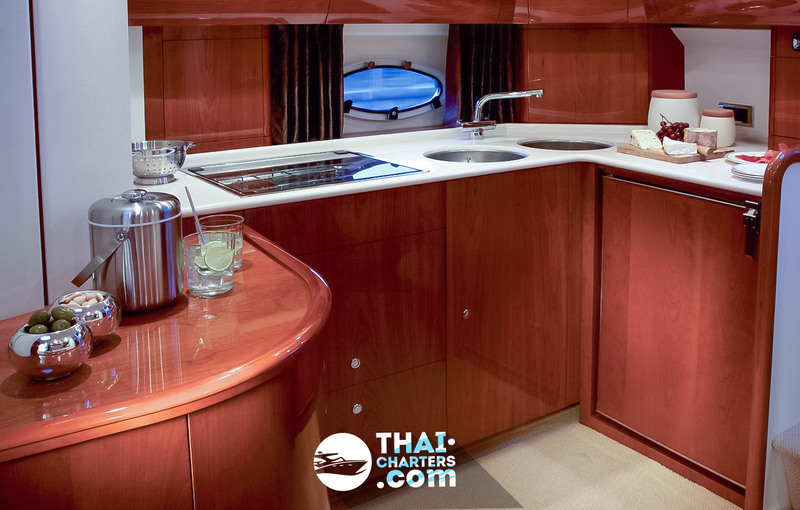 Impeccable design and cutting-edge technologies make the motor yacht “Princess V42” cult in the model range of the English shipyard. 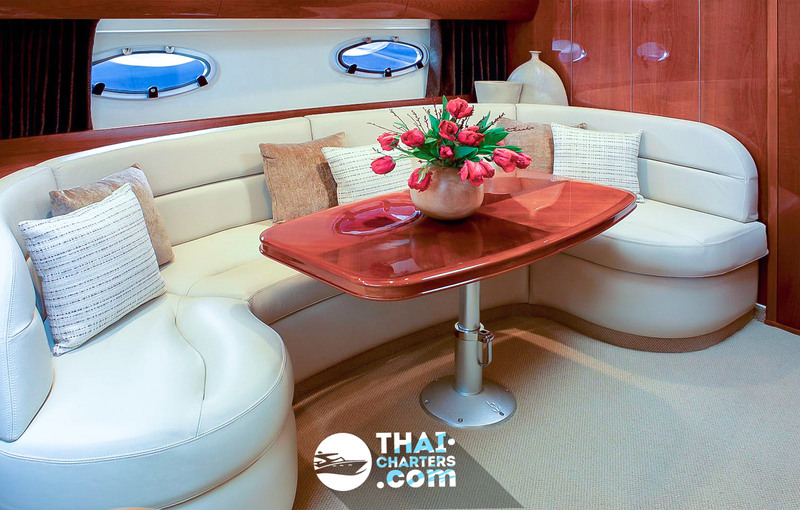 The yacht is designed for speed and enjoyment of these moments on the open upper deck. 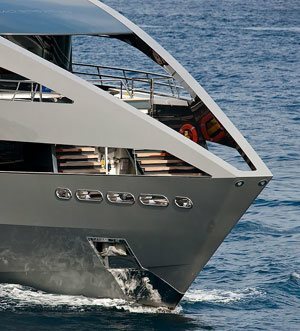 8 people can comfortably accommodate here. 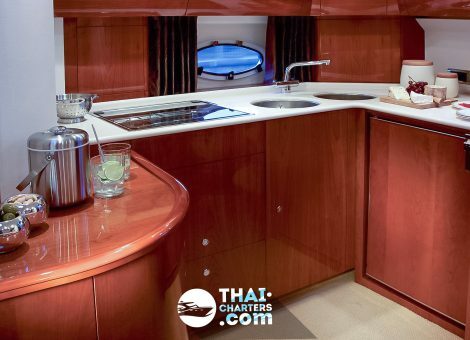 On the lower deck, there is a master cabin and a guest cabin, which are furnished applying the highest standards and which are fully air-conditioned. 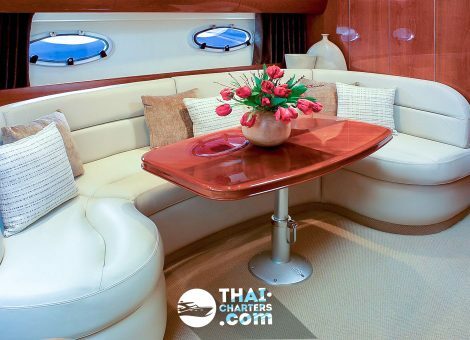 There are soft leather furniture and a dining area for 4 persons on the lower deck for your comfortable rest in the guest area. 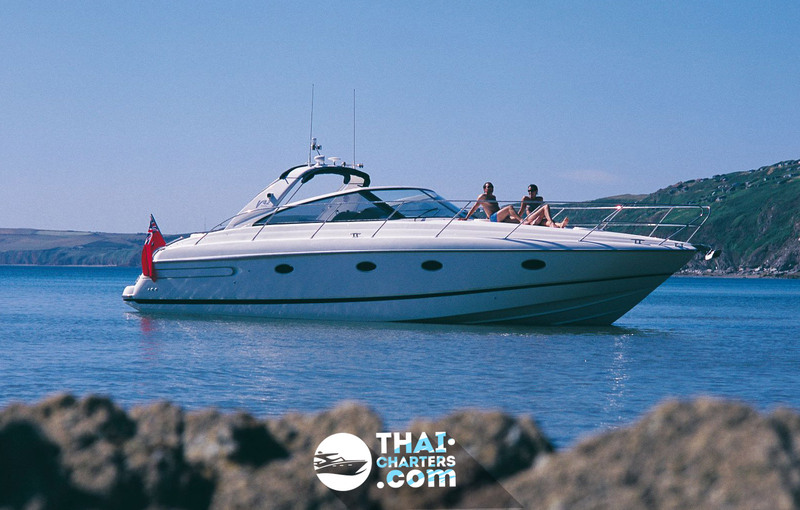 If you are looking for a stylish fast yacht for a company up to 10 people, the rent of the yacht “Princess 42V” ticks all the boxes for your event. 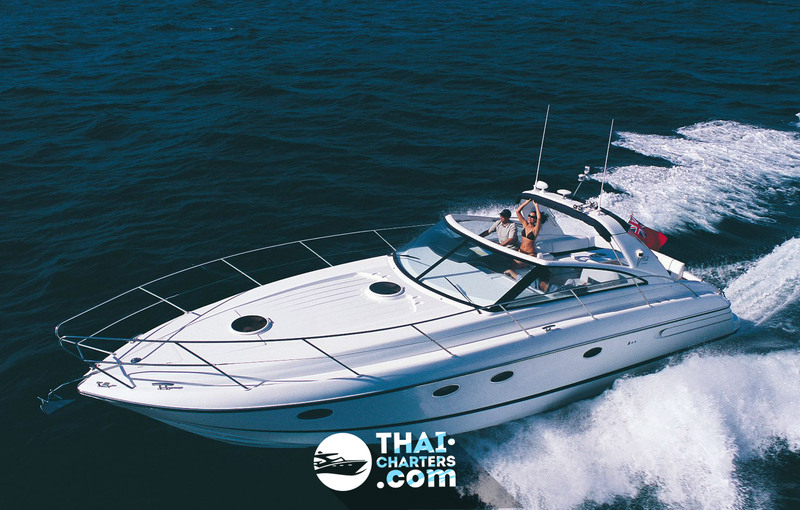 A motor yacht will take you to the farthest sites of the Andaman Sea in a matter of hours. 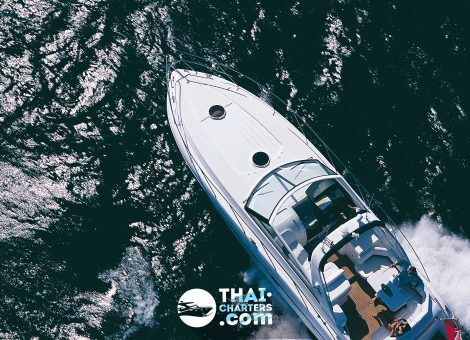 There are life vests, towels and beach mats on the shipboard. 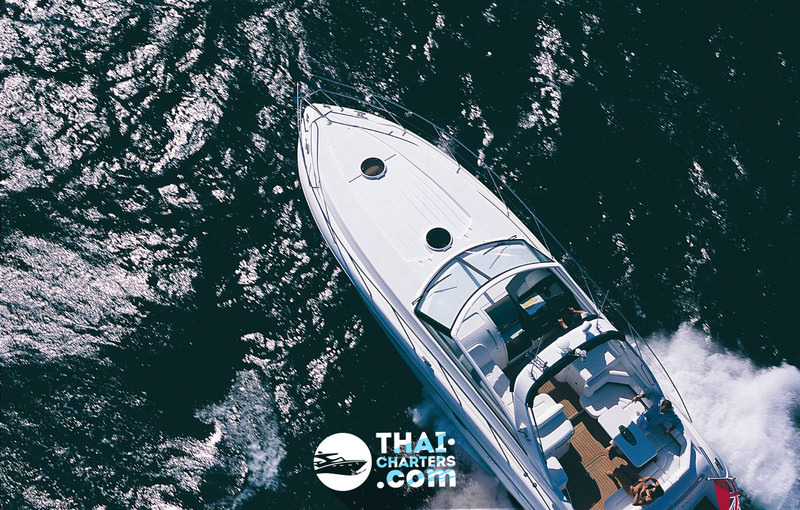 There are also snorkeling masks and tubes on the shipboard for your entire company to enjoy the stunning underwater world.